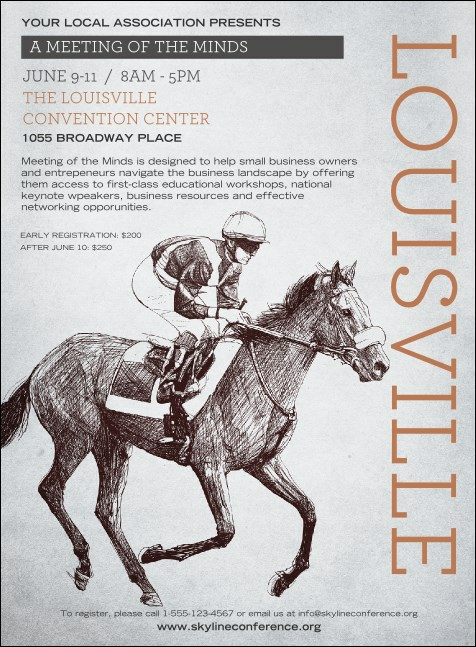 Get a quick response for your next Louisville event with the Louisville Invitation. Featuring one of the greatest traditions in The 'Ville — the Derby — in soft grey tones. Whether you're hosting a party, fundraiser, conference, or concert, this classic design fits any occasion in the Gateway to the South! Guests will RSVP ASAP with the right invitation from TicketPrinting.com.